The Bosorne & Ballowal United / Bellan Mine is thought to date from about 1820. 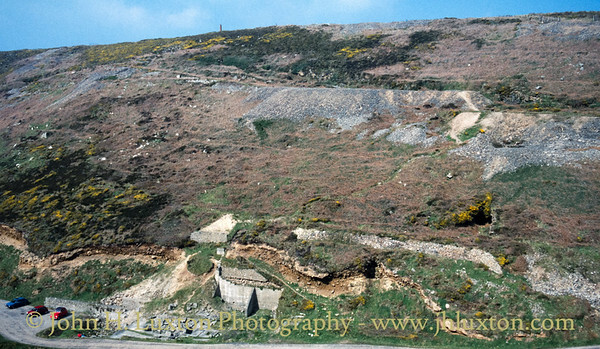 At some stage later North and East Wheal Venton mines were incorporated into the mine. Production in its early years seem to have been quite patchy as there are reports of the mine re-opening in 1824, for sale in 1825, worked during the 1830's and re-opened in 1850. 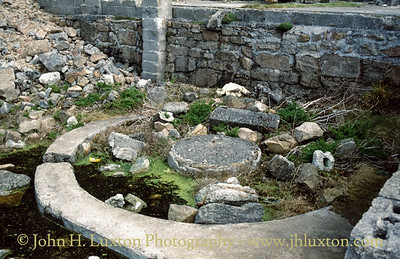 There was a 15-inch pumping engine at the mine but its location is unknown as well as a large waterwheel. Its most productive year for Black Tin was in 1854 when it produced 10.90 tons with a value of £714. The mine was also active during the 1940s with some of the modern remains dating from that period. Disused stack at Badger Shaft. 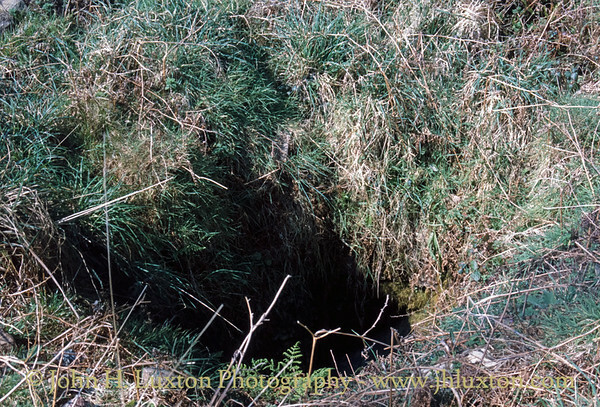 Badger Shaft at Bosorne & Ballowal United Mine. 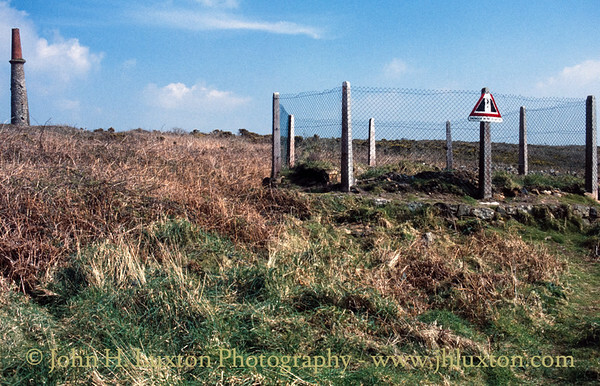 Disused stack and Badger Shaft at Bosorne & Ballowal United Mine. This building appears to be the remains of an arsenic calciner. My then car an MG Metro looks on complete with Comic Relief Red Nose! 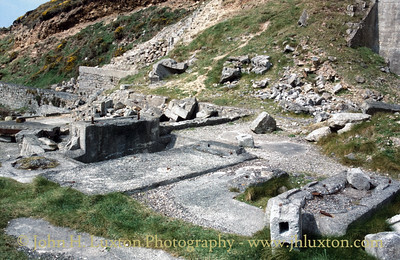 Buddle remains from the 1940s operations on the site. Machinery footings from the 1940s working. General view of the mine. 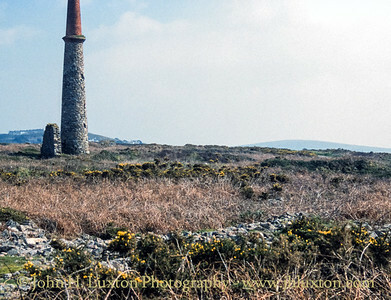 The chimney at Badger Shaft can be just seen on the skyline. 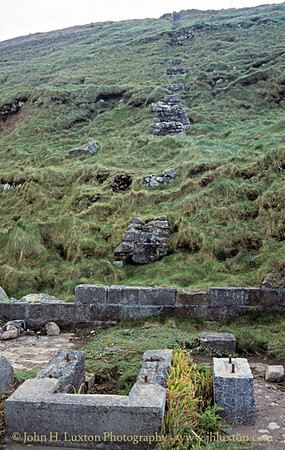 The site of the Pelton Wheel foreground and the pipe supports leading up the hill. 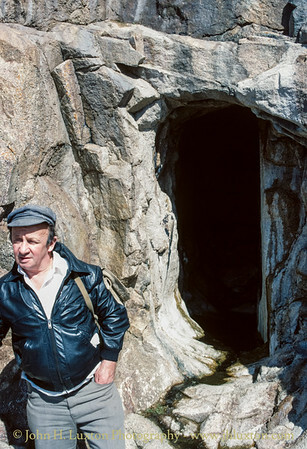 My father standing beside an adit entrance on to Porth Nanven.